Godspeed cometh, and... so does god-crotch. 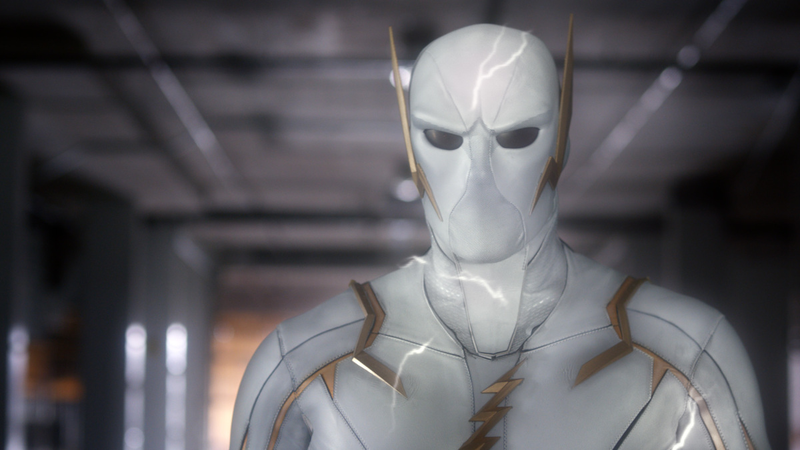 Ahead of this week’s episode—titled “Godspeed”; it’s also the directorial debut of Caitlin Snow herself, Danielle Panabaker—the CW has released the first official images of The Flash’s take on DC Rebirth comics speedster Godspeed. Doesn’t look so great in that flat lighting and a stance that, in all honestly, looks a lot less like a position of power and more like someone who’s about to speed their way to the nearest loo. But it’s also a reminder that sometimes, comic book suit designs don’t always have the practical needs of live-action adaptation in mind when they’re being considered. In comics, lighting is controlled by the colorist and inker, who can always perfectly accentuate a design—they don’t have to think about a scenario with sterile, flat lighting like the one happening above. Everything. Godspeed and his uncomfortable bulge will make their debut tomorrow night, April 16.